Port 3389 is the home of the remote desktop protocol that powers Remote Desktop Services on all modern versions of Windows. If your system has Remote Desktop enabled, it is listening for connections on port 3389. Since this port is both well known and can be used to attack accounts, it is low hanging fruit for script kiddies and bots looking for an easy target. Theoretically on a system that does not have an account lockout policy in place, which by the way is not a system default, the RDP protocol can be used to get the administrator password with brute force. Brute force is a fancy way of saying trying all possible passwords. If the system never locks out the account then time is the only barrier to eventually getting you password and logging in. The first defense is to implement a good account lockout policy but that does not solve the entire problem. Any administrator of a public facing Windows web server will notice that their server is continiously attacked by bots looking for an easy target. The bots will often lock out your accounts which can be very annoying. To protect your system from the bots and script kiddies I always reccomend changing the default RDP port. This will not fool an intelligent attacker but it will weed out the noise. Open up Registry Editor by clicking on the Start Button, type in regedit and then hit Enter. 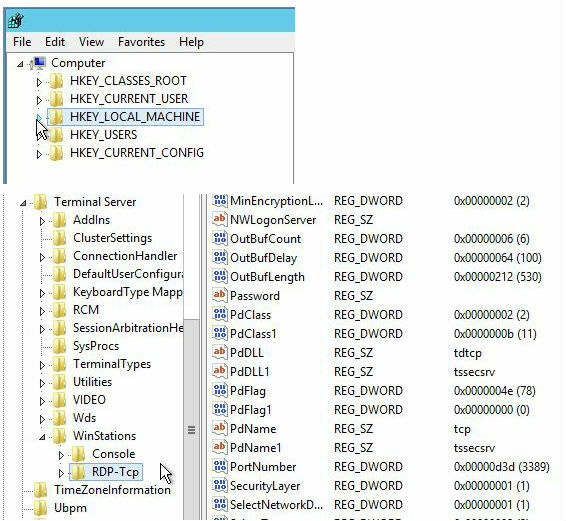 In Registry Editor, navigate to HKEY_LOCAL_MACHINE, SYSTEM, CurrentControlSet, Control, Terminal Server, WinStations and RDP-Tcp. Right click on the PortNumber dword and select Modify. Change the base to Decimal and enter a new port between 1025 and 65535 that is not already in use. Make sure to reboot to activate the change. Keep in mind that the next time you want to connect to your system with RDP you will need to provide the port number. You can do that from the Remote Desktop client by appending a colon after the host name or ip address followed by the port number. For example, if I have a computer with host name of tweak with RDP running on port 1234 I would use tweak:1234 in the remote desktop client hostname field. In Part 1 of this tutorial series, we configured Windows to accept remote desktop connections, so we can log into and use a PC anywhere in the World with Microsoft’s Remote Desktop Connection client application. In Part 2, we configured Windows to accept remote connections via a Web browser, so the client application doesn’t have to be installed on the computer from which you are connecting. However, neither of these methods will work until your firewall is configured to allow remote connections. This tutorial addresses that. Plus, to connect to your PC via the Internet, your router must be properly configured. In this tutorial, we’ll tell the firewall on the PC that’s hosting the remote connection that it is okay to allow incoming connections on the appropriate port. We’ll also tell your router where to forward remote desktop connections. Let’s get started. Since you will be trying to connect to your PC from the local network or Internet, your firewall software must be configured to let the traffic through. 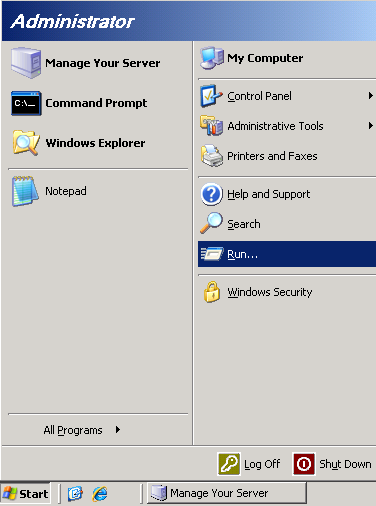 Enabling the Remote Desktop feature on Windows automatically configures Windows Firewall with the appropriate settings; however, you must manually configure any other third-party firewall software you have installed on your computer. 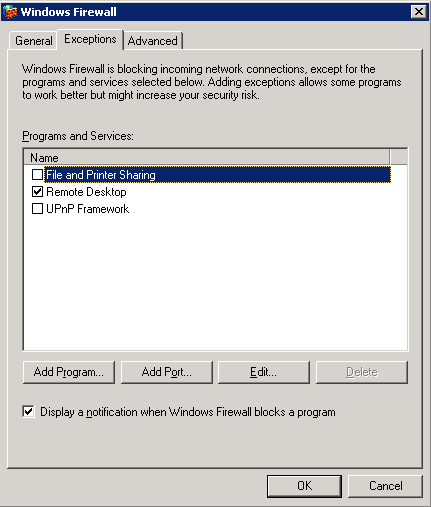 To do this, add UDP port 3389 (which Remote Desktop uses) to your firewall’s authorized list. If needed, refer to the help and documentation of the firewall program for assistance. It’s possible to change your Windows Firewall settings and accidentally mess up the setting automatically made when you enabled Remote Desktop. Therefore, to be on the safe side we’ll verify Remote Desktop connections can pass through. If you are also setting up Web access to the Remote Desktop Connection, you must add TCP port 80 (or the port you choose for IIS if you changed from the default) to your Windows Firewall and any other third-party firewall. Windows doesn’t automatically add this port to the authorized list, so you will have to do it yourself. On the Control Panel window, under the Security category, click the Allow a program through Windows Firewall link. If User Account Control is enabled, select an account and enter a password, if required, and click Continue on the prompt. On the Windows Firewall Settings window that opened, click the General tab. Make sure the Block all incoming connections check box is NOT checked; as Figure 1 shows. 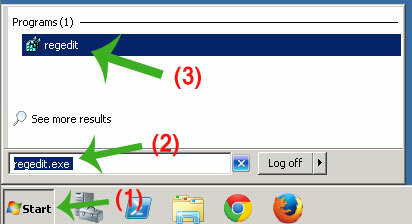 Click the Exceptions tab and scroll down to make sure the Remote Desktop item is checked; as Figure 2 shows. This verifies Windows Firewall is set to allow the traditional Remote Desktop Connections. If you are setting up Web access with IIS, as well, click the Add Port button. 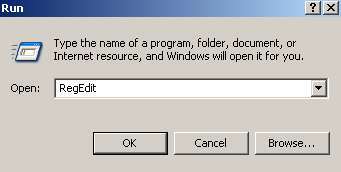 Then, on the Add a Port dialog box, type in a Name (such as Remote Desktop Web Connection) and enter the default port 80 or the port you manually changed IIS to into the Port Number field, select TCP for the Protocol, and click OK.
On the Control Panel window, click the Security Center category. On the Windows Security Center window that opened, near the bottom of the window, click the Windows Firewall icon. Make sure the Don’t allow exceptions check box is NOT checked. Click the Exceptions tab and scroll down to make sure the Remote Desktop item is checked. If you are setting up Web access with IIS, as well, click the Add Portbutton. Then on the Add a Port dialog box, type in a Name (such as Remote Desktop Web Connection) and enter the default port 80 or the port you manually changed IIS to into the Port Number field, select TCP for the Protocol, and click OK. If you are using other third-party firewall utilities, make sure you add these ports to them as well. If you find you’re having problems later when connecting, consider disabling all firewall software except Windows Firewall. If your PC isn’t directly connected to your Internet modem, and it is running through a wired or wireless router, you must configure the router to connect to the Remote Desktop connection via the Internet. This configuration lets your router know where to direct Remote Desktop connections that originate from the Internet. Configuring your router consists of setting it to forward data, which comes in to certain ports, to the computer you have set up with the Remote Desktop Connection. For either Windows XP or Vista, TCP port 3389 (which Remote Desktop uses) must be forwarded to the Remote Desktop PC. If you are setting up Web access, you also must forward TCP port 80 (or the non-default port you set) to the host computer. Access your router’s Web-based configuration utility by bringing up your Web browser, typing in the IP address of your router, and pressing Enter. If you don’t know the IP address, see your router’s documentation or reference the Default Gateway value that’s given in the connection status details of Windows. When prompted, enter the username and password of your router. You should have set these login credentials when you had set up your router; however if not, you can reference the default values in the router’s documentation. Find the Virtual Server or Port Forwarding tab of the router’s administration screens. Enter the port details, for each port you need to forward (discussed in the previous paragraphs) by entering information into the appropriate text boxes or selecting options from list boxes. Figure 3 offers an example. forwarded(Click for larger image)You may have to enter a name, which would be for your reference, like remote desktop or remote desktop Web access. Sometimes you can pick the computer (identified by the Computer Name) you want to forward to from a drop-down menu list, or you may have to enter the IP address of the computer. You can find your computer’s IP address by referencing the connection status details of Windows. Lastly, you’ll probably have to enter the port you want to forward, which were given earlier for both Remote Desktop and Web access. Click a Save or Apply button. Now you must make sure the port(s) are always forwarded to the correct computer. If you are using dynamic IP addresses on your local network (which is the default method), meaning they’re automatically assigned to your computers using the router’s DHCP server, you’ll need to do some additional configuration. You must assign a static IP address to at least the computer that’s going to be hosting the Remote Desktop Connection. This is because the IP address you just set up to forward the ports to will sometime be given to another computer or become unused if it’s being automatically assigned. You have two ways you can go about giving your computer a permanent IP address. You can reserve an IP address for the computer in the router’s configuration utility, if your router supports it. This is preferred so you don’t have to change your computer’s actual settings and connecting to other networks will be much easier. However, if the feature isn’t available you can always manually assign your computer (network adapter) with a static IP address in Windows, such as Figure 4 shows. Stay tuned-in for the final installment of this series, where we’ll connect to the remote desktop connection via the client application and via Web access. Plus, we’ll discuss how to overcome having a dynamic (changing) IP address. About the Author: Eric Geier is the Founder and President of Sky-Nets, a Wi-Fi Hotspot Network. He is also the author of many networking and computing books, including Home Networking All-in-One Desk Reference For Dummies (Wiley 2008) and 100 Things You Need to Know about Microsoft Windows Vista (Que 2007). but then could not RDP into server even after changing the inbound rules of security group. 2- Click simultaneously on the Windows logo + R to open the “Run” dialog and execute the “cmd” command – Valid for 2012 R2, Or CMD on 2008 server editions. 5- Double-click or right-click on the “PortNumber” registry subkey, select the decimal base and type the port number of your choice (the default port is 3389, in this example, we selected port 6000). Click on “Ok” to save your selection. 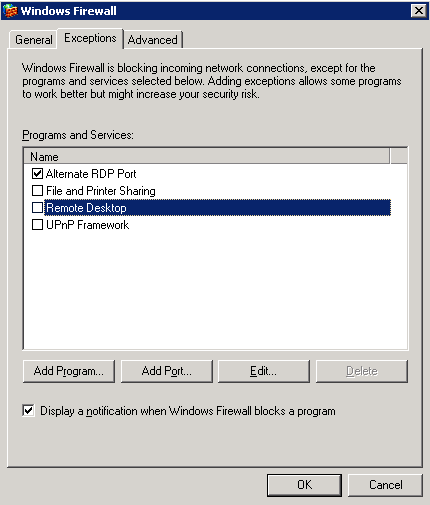 Note: Firewall is already enabled by default and allowing RDP connection on all VPSie(s). Upon reboot you should be able to access RDP on the new port 6000. ControlPanel–>System Security–>Windows Firewall–>Advance Settings–>inboundRules–>New Rule. Select ports –> Input 6000 –> allow ALL incase you want to RDP one that port locally or public –> give it a name –> you done. I need a bit of ideas on a decent way to push out a GPO to change/verify that the RDP port on workstations are the default 3389. The old Network admin changed the ports and had wan ip’s pointing to them. This now makes it tricky to RDP to the machines w/o knowing the port. I figured I could run a registry script to change the port. First, you need to find out how the previous admin changed the port: script? GPO? because it might get re-applied. Q: Can I change the port that Remote Desktop Gateway uses? Right-click the RD Gateway server name in the navigation pane and select Properties. Modify the HTTP and/or UDP port number. Set the custom port value to the same port if you change them, because there’s no way to do so in the client. Specify different custom ports for UDP versus TCP, then click OK. Note that two firewall exceptions are enabled by default; however, they use the default ports, so you’ll need to add your own firewall exceptions for TCP and UDP for the custom port you selected. When you connect from a client, you need to add the custom port to the end of the gateway server name, preceded by a colon (:); for example, mygateway.domain.com:9999. Note that this is only an RDP client that supports RDP 8.0 or later. We can easily change remote desktop listening port to some other port than the default 3389. By default RDP listens on TCP 3389. Once we change this port to some other port , We may need to restart the system to activate the new listening port . Then click on PortNumber and select radio button Decimal which will show value in Decimal. Now enter a desired port number and close the registry editor. Follow the instructions in the Fix it wizard. Type a new port number between 1025 and 65535 in the PortNumbertext box. Make sure the port is not in use already, otherwise it can conflict and won’t work. 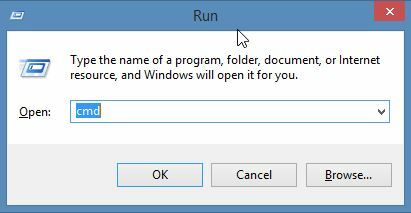 Hold the Windows Key and Press R to open Run Dialog, In the run dialog box type regedit and click the OKbutton. By default, Remote Desktop Protocol (for Windows XP and Server 2003) listens on TCP port 3389. Each PC needs to listen on a different port in order for the Remote Desktop request coming in from the client PC to be forwarded by your router to the proper host PC. To make a host PC listen on a port other than the default port 3389, you must edit the registry. IF YOU’VE NEVER EDITED THE REGISTRY BEFORE BE CAREFUL! Find the PortNumber subkey and notice the value of 0x00000d3d (3389). Modify the port number to any unused port (ie-3390 or d3e in hex) and save the new value. Now you need to configure your router to forward the different port requests to the proper local IP address. Start Registry Editor (by default, this is located at c:\windows\regedit.exe). Pick the Decimal Base option. Enter the new port number, and then click OK. Does Remote Desktop send traffic over any other ports? Primary remote desktop traffic will go over the one port defined above. If sound is enabled, streaming will be attempted over UDP directly. If this connection can’t be made, Remote Desktop will stream sound over a virtual channel via the main remote desktop port. No other ports are used. 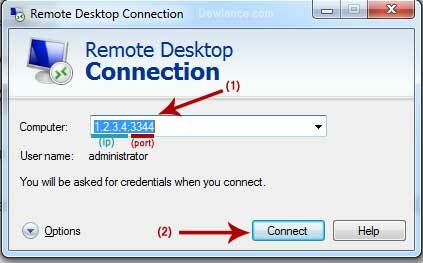 Question: HOW TO CHANGE THE DEFAULT RDP (REMOTE DESKTOP) LISTENING PORT ON YOUR WINDOWS VPS? By default Windows machines are remotely accessible via Remote Desktop on TCP port 3389. In certain situations changing the Remote Desktop port is useful, especially when you receive a huge number of failed Remote Desktop login attempts on default port. In order to change the default port of Remote Desktop, you’ll need to alter the registry of your server. Registry changes may cause some serious problems in your server when performed incorrectly, so be careful while performing the steps mentioned in this article. Furthermore, to maintain the access to your server after changing the Remote Desktop port, be sure that you also change the port in Windows Firewall’s Remote Desktop Services rule OR create new rule with new RDP port by referring to this article. Otherwise, Windows firewall won’t allow you to access your server using new Remote Desktop port. Login to your Windows server via Remote Desktop. Click on Start >> Run >> Type REGEDIT and hit enter. This will open registry editor. Locate and click following registry subkey. Double click on the PortNumber registry subkey, select the Decimal base. Type new port number in Value data field and click OK to save the changes. Change Windows VPS RDP port. This article is based on Windows Server 2003 R2. Most of the steps should be similar for newer Windows Server versions. Warning: Changing the default RDP port should be used as an addition to normal server security measures – not as an alternative. Changing the default RDP port will require firewall and registry changes on the VPS, and changes to the RDP file configuration. Warning: making these changes will prevent the default RDP file for your VPS(found in mPanel) from connecting to the VPS unless it is modified. If you are not sure you understand the changes being made, please back up your VPS first, or don’t change anything. 1.2 Locate the downloaded RDP file to used to log into the VPS, then right-click it and select Edit from the menu dialogue. 1.4 Click the Save button in the ‘Connection settings’ section just below where you entered the VPS IP and new RDP port to use. 2.1 Open the Windows Firewall configuration dialogue on the VPS. Click the Start menu and go to Settings -> Control Panel -> Windows Firewall(usually the last Control Panel item). 2.2 Click the ‘Exceptions’ tab in the Windows Firewall window. 2.3 Click the ‘Add Port’ button to bring up a new configuration window. 2.4 Enter a name for the new firewall rule being created, and the same port number entered into your RDP file in Part 1.3 of the guide. Leave the default TCP option selected and click OK. Note: If you will only be accessing your VPS from a static IP address(or addresses), you can add the IP address in the ‘Change Scope’ section using the ‘Custom List’ option for additional security. 2.5 Click the OK button to exit the Windows Firewall configuration and save the changes. 3.1 Open the registry editor on the VPS by clicking the Start menu, go to Run… and type in ‘regedit’ (without including the quotation marks) and click OK or hit the enter key. 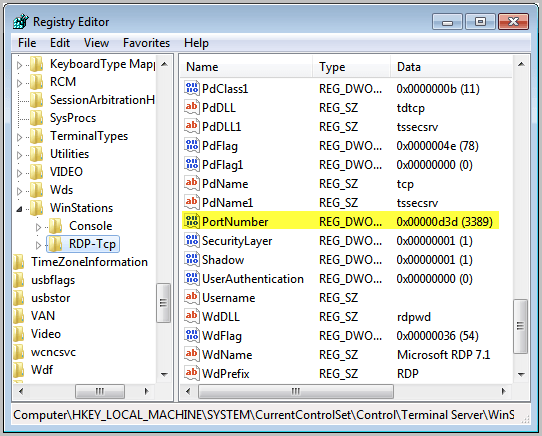 3.2 In the registry editor, navigate to the registry key ‘HKEY_LOCAL_MACHINE\SYSTEM\CurrentControlSet\Control\Terminal Server\WinStations\RDP-Tcp’. 3.3 Scroll down the right side of the window and double-click ‘PortNumber’. 3.4 Select the ‘Decimal’ option in the Edit DWORD Value’ window. 3.5 Enter the same port number you chose as your new RDP port in Part 1.3 of the guide, then click OK.
4.1 Restart your VPS with the facilities provided in mPanel or from the Shut down menu on the VPS. 4.2 Once mPanel indicates the VPS is back online and responding to pings, double-click the RDP file previously edited in Part 1. of the guide. A security warning dialogue will open. Check the ‘Don’t ask me again for connections to this computer’ box to prevent this popping up each time you want to connect to your VPS, then click Connect. 4.3 The VPS desktop login dialogue should appear if the change was successful. You should notice the port number in use is displayed in the window title. Enter your VPS login credentials and check your VPS’ desktop is as you left it. 4.4 After successfully logging into the VPS using the new RDP port the default RDP firewall rule can be disabled(deselected) and the configuration saved by clicking OK.
4.5 The new configuration can be tested by attempting to connect to the VPS with the original(unmodified) RDP file. Attempting to connect to the VPS with the original RDP file should fail. Find the “PortNumber” subkey and notice the value of 00000D3D, hex for (3389). Modify the port number in Hex and save the new value. You can now connect to the new port by using the “old” Windows 2000 Terminal Server client. A better option is to use the RDP client found in Windows XP, or even better,the newer Windows Server 2003 SP1 RDP 5.2 client. You’ll need to configure your TS client to connect to the new port. Although changing the connection port on the RDP clients is quite easy, you CAN also change the connection port for the TS client. See Related Articles list for more info. In this How-To, we will walk you through changing the RDP Port in Windows Server 2012. 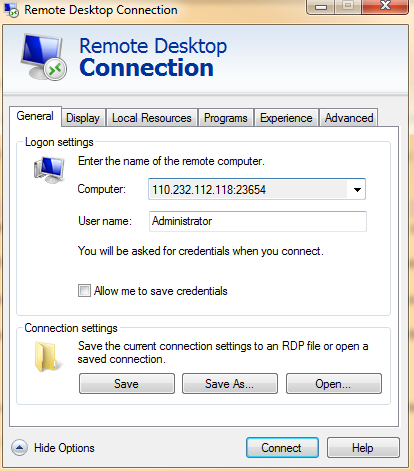 Remote Desktop Protocol (RDP) is a protocol that allows you to connect and control another computer via an existing network making it a remote connection. By default, Windows has assigned port 3389 as the default port to connect. To enable RDP on your Windows Server 2012, you can click here for more information. – A Server with Windows Server 2012. If you do not have a server already, why not consider a Windows Cloud Hosting from Atlantic.Net and be up in 30 seconds or less. Find the “PortNumber” registry subkey and either right-click or double-click it. 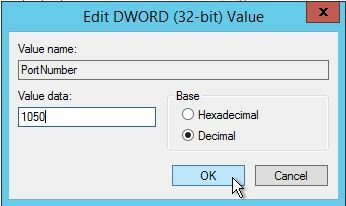 A box should pop that says “edit DWORD.” Find the value data (it should say 3389 for standard installations) and change it to the port that you would like. In this example, we chose port 1050. Congratulations! You have just changed RDP port in Windows Server 2012. Thank you for following along in this How-To, check back with us for any new updates and to learn more about our reliable cloud hostingservices. Remote Desktop Protocol, the specification used to define the operation of Remote Desktop Service, uses the transmission control protocol port 3389 by default. However, if your business uses Remote Desktop, consider changing the port configuration, as 3389 is a well-known port and is therefore vulnerable to hacking. Changing the RDP port in Windows entails altering the port forwarding settings in Netgear as well, as the router won’t automatically change the default RDP port to the new number. Press “Start,” type “regedit” or into the search field and press “Enter” to launch the Registry Editor. You may have to press “Yes” if a message comes up warning you of the dangers of changing registry entries. Click “RDP-TCP.” Right-click “PortNumber” from the right pane and choose “Modify” from the context menu. 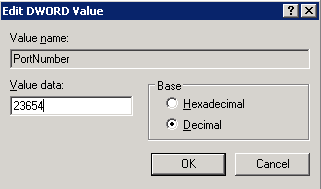 Click “Decimal” and enter a new port number into the Value Data field. Click “OK,” then close the Registry Editor and restart the workstation. Open a Web browser, type “192.168.0.1” (without quotes) into the address bar, then press “Enter.” If the browser fails to navigate to the address, try “192.168.1.1” instead. Select “Port Forwarding/Port Triggering” from the left pane, then select the “Port Forwarding” radio button. Select the RDP entry and click “Edit Service.” Enter the new port number into the Start Port and End Port fields. 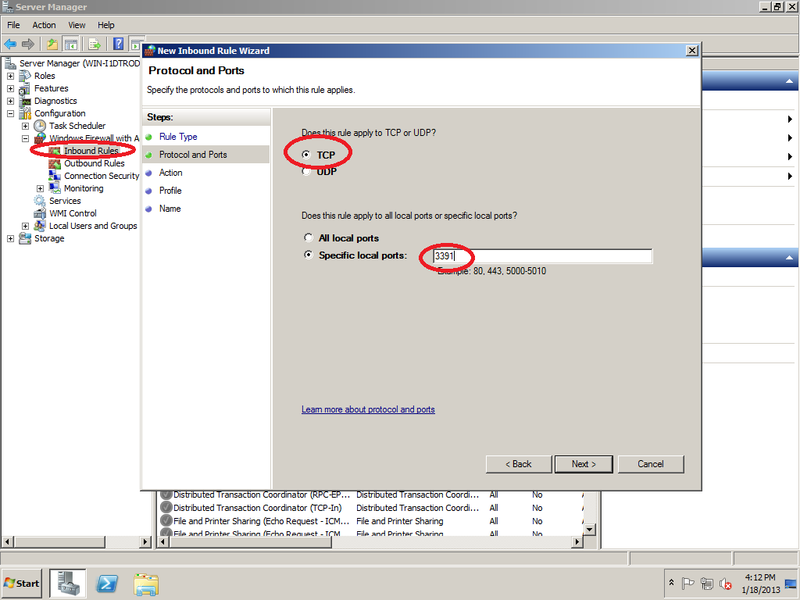 Click “Apply” to change the default RDP port on the Netgear router. Question: How to change the default RDP port 3389 through registry on windows server? Click Start >> Run >> enter “regedit” and click Ok. Question: How to change the Terminal Server or RDP listening port ? By default, Terminal Server, and the Remote Desktop Protocol uses TCP port 3389. It is sometimes useful to change the port not to conflict with other machines on the network. 3. Locate the “PortNumber” subkey and change the value from 00000D3D (hex for 3389) to some other port between 1025 and 65535. Question: How To Change Default Remote Desktop Protocol (RDP) port 3389 in Windows Server 2008? Select the “Decimal” option, type the new port number and click OK.
PC security is comprised of effective firewalls, efficient anti-malware software, WPA and WEP codes as well as several other software-related tweaks and applications. When Remote Desktop is enabled, additional precautions must be taken to minimize the possibility of malware infection and hacking. If the tech at a software company can remotely operate your computer, then so can anybody else with the knowledge and ability. To protect against bots and script kiddies, the RDP Port must be changed. The remote desktop protocol drives Remote Desktop Services through Port 3389 by default. Any Remote Desktop connections are made through Port 3389. This is the case for every user reading this unless you have already changed the port. Basically, this means that this port is an easy target. By changing the RDP port, security is enhanced because bots and kiddies are designed to target RDP Port 3389. Change the port! For this to be truly effective, implement a strong account lockout policy. This defends against the use of RDP protocol to obtain the administrator password. If the password is attainable due to the absence of an account lockout policy, then the RDP Port can be found regardless of what it has been changed to. Changing the default RDP port is achieved through a simple registry hack. Another method is to change the RDP port with a third-party utility. Always set a restore point before making changes to the registry. Run regedit from the start menu to open the Registry Editor. Navigate to HKEY_LOCAL_MACHINE, SYSTEM, CurrentControlSet, Control, Terminal Server, WinStations and RDP_Tcp. Find the PortNumber dword and right-click. Select Modify. Alter the base to Decimal and enter the new port number with a value between 1025 and 65535, as long as the port is not in use. Click OK.
By default, the Windows Remote Desktop service will automatically listen to TCP port 3389. However, it’s perfectly fine to change or alter the default RDP listening port for any reasons that an administrator can think of. For example, to bypass Firewall that only allow web browsing but restrict Remote Desktop connection and others protocols. In this case, you might need to change the default TCP 3389 to TCP 80 or 443 for the Remote Desktop service running on Vista Ultimate PC at home. How to change the Remote Desktop listening port on Windows Vista? 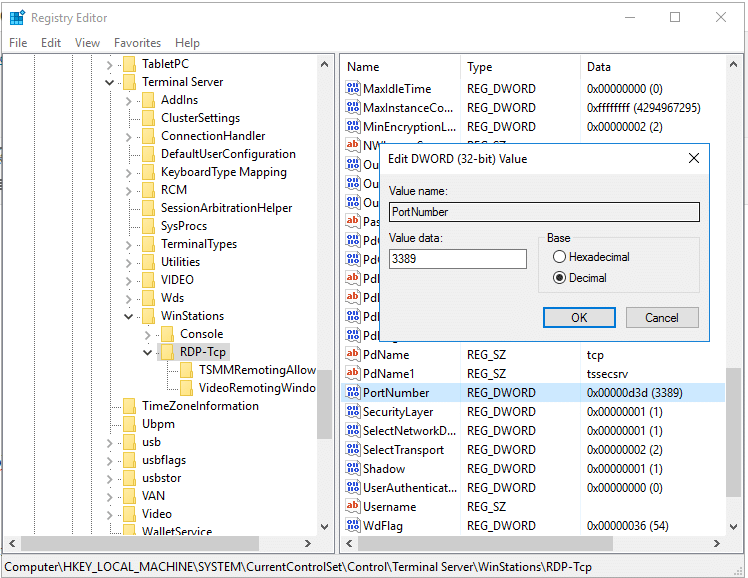 This RDP trick is applicable to Remote Desktop service running on Windows Server 2003 and Windows XP as well (and likely working on Windows Server 2008 or later too)! Locate the PortNumber Registry key on the right-pane, double-click to open, click the Decimal option in the Base section, enter 443 in the text box and click OK (change 443 to the port number of your need). at the Command Prompt window. If there is no output from the netstat command, meaning that the TCP 443 port number is not in used (and thus available for new RDP listening port). You might need to download Reg.exe from Microsoft if it’s not currently in your Windows. To change back to the default, simply replace the PortNumber Registry key (in this case, TCP 443) to TCP port 3389. How to restart Windows Remote Desktop service after changing its listening port? 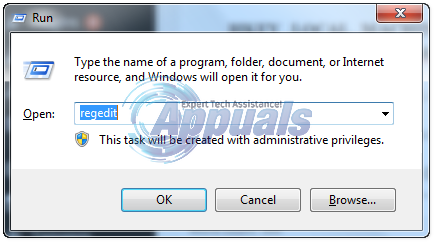 In Computer Configuration, Administrative Templates, Windows Components, Terminal Services, Terminal Server, Connections, double-click the Allows users to connect remotely using Terminal Services setting. Click Disable to deactivate Remote Desktop and then click Enable to reactivate the service again. If the “Allows users to connect remotely using Terminal Services” Group Policy setting is set to “Not Configured”, the “Enable Remote Desktop on this computer” setting (on the Remote tab of the System Properties dialog box) takes precedence. Otherwise, the “Allows users to connect remotely using Terminal Services” Group Policy setting takes precedence. 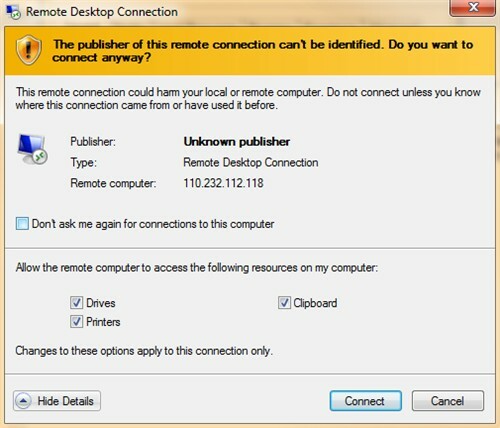 In the Remote Desktop section, select the “Don’t allow connection to this computer” option and click Apply button. 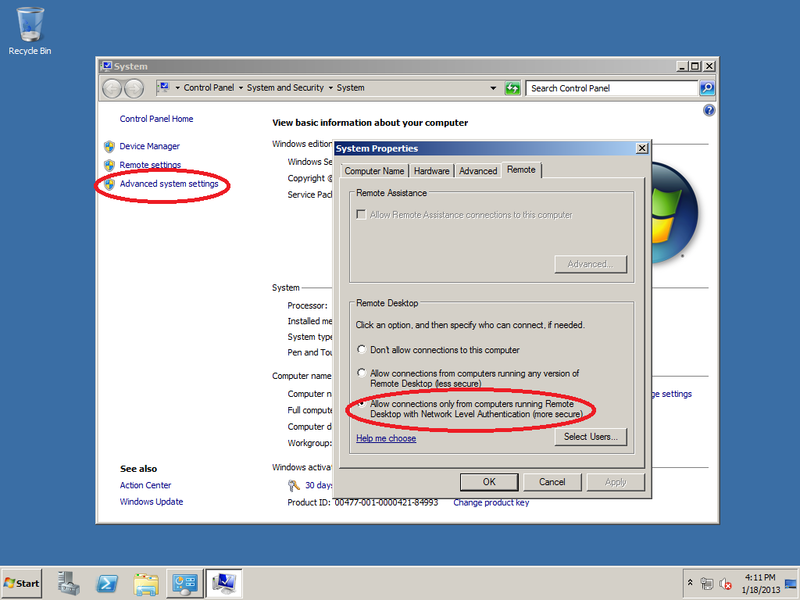 Select either “Allow connections from computers running any version of Remote Desktop (less secure)” or “Allow connections only from computers running Remote Desktop with Network Level Authentication (more secure)” option and click Apply button – to reactivate Remote Desktop service to listen on new TCP port number. Now, the netstat -an | find "443" will showing the TCP 443 port listening for RDP connection! How to connect to a Windows Remote Desktop service that is not listening on the default TCP 3389 port number? Open the Remote Desktop Connection client and specify the host:port syntax (e.g. Vista-Ultimate:443) as the connection string. 2. Allow your port number within Windows 2008 Firewall (and specify scope of IP addresses that can access the server via RDP – this is optional but good security practice). In regards to security the setup is not security through obscurity but it prevents automated bots from discovering your servers open port and performing brute force password guessing on it. Also if you setup the scope properly with IP addresses or IP ranges the port will not even come up on standard port scan. There is nmap tool (now with GUI) that can sort of deduce the port but it is still useless unless you are expert network penetration expert. As far as maintaining the information about the change of port I recommend you look into NOC software like Nagios. This will tell other admins about what you have done, what the port number for RDP is and who is allowed to access it. Changing the listening port for Remote Desktop: Remote Desktop is a very important feature of Windows which allows users to connect to a computer in another location and interact with that computer as if it’s present locally. For example, you are at work and you want to connect to your home PC then you can easily do if RDP is enabled on your home PC. By default, RDP (Remote Desktop Protocol) uses port 3389 and since it’s a common port, every user has information about this port number which can lead to a security risk. So it’s highly recommended to change the listening port for Remote Desktop Connection and to do so follow the below-listed steps. 1.Press Windows Key + R then type regedit and hit Enter to open Registry Editor. 4.Once you have found PortNumber then double-click on it to change its value. Make sure to select Decimal under Base to see the edit its value. 5.You should see the default value (3389) but in order to change it’s value type a new port number between 1025 and 65535, and click OK.
6.Now, whenever you try to connect to you home PC (for which you changed the port number) using Remote Desktop Connection, make sure to type in the new port number. Note: You may also need to change the firewall configuration in order to allow the new port number before you can connect to this computer using Remote Desktop Connection. 2.Now navigate to System and Security > Windows Firewall. 3.Select Advanced Settings from the left-hand side menu. 4.Now select Inbound Rules on the left. 5.Go to Action then click on New Rule. 6.Select Port and click Next. 7.Next, select TCP (or UDP) and Specific local ports, and then specify the port number which you want to allow connection for. 8.Select Allow the connection in the next window. 9.Select the options which you need from Domain, Private, Public (private and public are the network types that you select when you connect to the new network, and Windows ask you to select the network type, and the domain is obviously your domain). 10.Finally, write a Name and Description in the window that shows next. Click Finish. By default, Remote Desktop Connection (RDP) uses port 3389. we can change this default settings for security reasons. * Login to the server via RDP(Remote Desktop Connection). * Open the port you wish to use for RDP connection in firewall. * Click on “Exceptions” tab . * Click on “Add Port”. * Specify the required details like Name, Port Number and choose TCP. Click on “Start”>>Go To “Run”>>Type “regedit” (without quotes) and click OK.
* On the Edit menu, click Modify, and then click Decimal. * Type the new port number, and then click OK.
* Exit from Registry Editor. * Restart the server to make the changes in effect. * Verify connectivity to the new port using telnet. Question: How to Change Windows VPS Default RDP Port? How Can I Change my Default Remote Desktop Port? 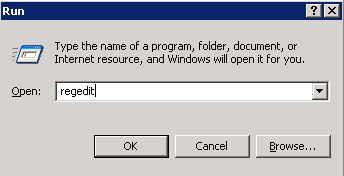 Step 1: Login to your Windows VPS RDP Account, Go To “Start Menu” and then type “regedit.exe” (without quota) in search box and then click on regedit.exe result. 1. On the Edit menu, click Modify, and then click Decimal. 2. Type the new port number, and then click OK.
3. Exit from Registry Editor. 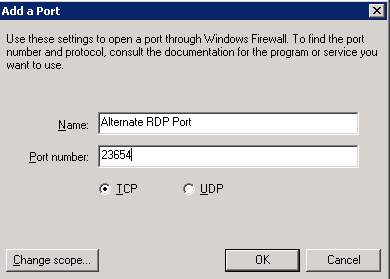 Step 3: As you can see, we changed our default RDP Port from 3389 to 3344 but now we need to add our new custom port in Firewall Inbound TCP Rule. 3. In “New Inbound rule Wizard” Click on “Port Option” and then click on “Next” button. 6. Enter Firewall Rule name like “My Custom RDP Port”, Click on “Next” Button and Close Firewall Application and then Restart your VPS. How can I access my Windows RDP with my New Custom Port? After restarting your VPS, Wait for few minute and then open Remote Desktop Application on your Local PC and If your VPS IP Address is 1.2.3.4 and your new custom RDP Port is 3344 then enter 1.2.3.4:3344 (IP:Port) in Computer Field and then click on “Connect” Option. Question: How to Change Windows VPS RDP/RDC Port & Allow New Port? Changing a Default RDP Port to other port is recommended for your VPS Security, My English is good so I will add some images so you can easily understand this. How to Change Default RDP Port? 3. Press “OK” and Exit from Registry Editor. Allow your New RDP Port to Firewall? 5. We need to Select “Allow the connection” and then press “Next” button. 6. Click on “Next” Button without changing anything. 7. In name field enter “Remote Desktop Port” and then Press “Next” button. 8. Exit from Firewall and Reboot your VPS/Operating System. After few minute, When your VPS will become online then you will be able to access your RDP Account by using your IP: PORT in RDP Application. Microsoft has a Knowledge Base article KB306759 that details how to modify and change the Remote Desktoplistening port by changing registry value. Then if you use the Windows Remote Desktop Connection program to connect to the computer, follow the address you want to connect to with a colon and the port number that you changed to; for example 255.255.255.255:433. 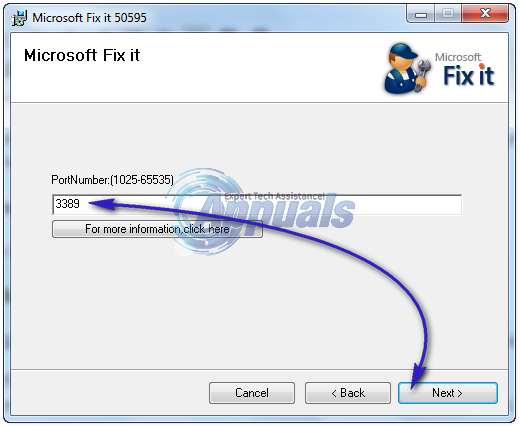 Question: How to change rdp server port 3389 to 80? You can change the listening port by tweaking the registry. >On the Edit menu, click Modify, and then click Decimal. >Type the new port number, and then click OK.
Windows servers are remotely accessible with Remote Desktop via the TCP 3389 port (default port). In some situations, when a more secure environment is needed, changing the remote access port can be useful. This article explains how to change the RDP port on a Windows Hosting Server. Note: Make sure you have opened remote access to the new RDP port in Windows Firewall before starting to avoid locking yourself out of the server. WARNING: Be careful when making changes to the Windows Registry as it contains critical configuration settings for your operating system. 5. Double-click or right-click on the “PortNumber” registry subkey, select the decimal base and type the port number of your choice (the default port is 3389, in this example, the selected port is 3312). Click on “OK” to save the selection. Kindly remember to open a new port in the Windows Firewall. In the left pane, click Advanced settings. If you’re prompted for an administrator password or confirmation, type the password or provide confirmation. Follow the instructions in the New Inbound Rule wizard. You need to do 3 steps to enable and change RDP Port in Windows Server 2008, 2008R2, 2012. You need to do this, if you have more servers at the same IP address, behind a router. 1st step: Enable RDP in System settings. You can go there by right clicking on Computer -> Propreties. Choose Advanced System Settings from the left side menu. 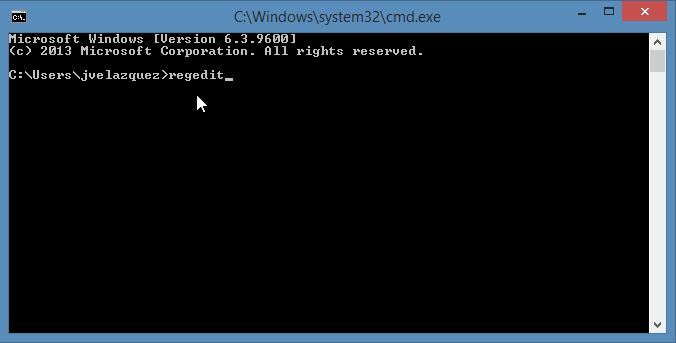 2nd Step: Change RDP Port: Open the registry editor (regedit: open cmd -> regedit.exe). Select HKEY_LOCAL_MACHINE\System\CurrentControlSet\Control\TerminalServer\WinStations\RDP-Tcp\PortNumber . Change to decimal mode, and change the port number, then click ok.
3rd Step: Enable the new Port in the Firewall settings. Open Server Manager, Select Firewall Settings in the left menu, right click on Inbound Rouls -> New. Choose TCP, set Port number, and name it. Thats all. After this you should restart your server, then everything should work fine. Default port for RDP is 3389 (TCP). Enjoy. Remote Desktop sessions operate over an encrypted channel, preventing anyone from viewing your session by listening on the network. However, there is a vulnerability in the method used to encrypt sessions in earlier versions of RDP. This vulnerability can allow unauthorized access to your session using a man-in-the-middle attack(link is external). Remote Desktop can be secured using SSL/TLS in Windows Vista, Windows 7, and Windows Server 2003/2008. Use a strong password on any accounts with access to Remote Desktop. This should be considered a required step before enabling Remote Desktop. Refer to the campus password complexity guidelines for tips. Use firewalls (both software and hardware where available) to restrict access to remote desktop listening ports (default is TCP 3389). Using an RDP Gateway is highly recommended for restricting RDP access to desktops and servers (see discussion below). As an alternative to support off-campus connectivity, you can use the campus VPN software to get a campus IP address, and add the campus VPN network address pool to your RDP firewall exception rule. See http://net.berkeley.edu/vpn/(link is external) for more information on the campus VPN service. If using an RD Gateway is not feasible, you can add an extra layer of authentication and encryption by tunneling your Remote Desktop sessions through IPSec or SSH. IPSec is built-in to all Windows operating systems since Windows 2000, but use and management is greatly improved in Windows Vista/7/2008 (see: http://technet.microsoft.com/en-us/network/bb531150(link is external)). If an SSH server is available, you can use SSH tunneling for Remote Desktop connections. See https://kb.berkeley.edu/kb1266(link is external) for more information on IPSec and SSH tunneling. In this tutorial i will explain how to change the Remote Desktop Protocol (RDP) port number using the registry editor (regedit). 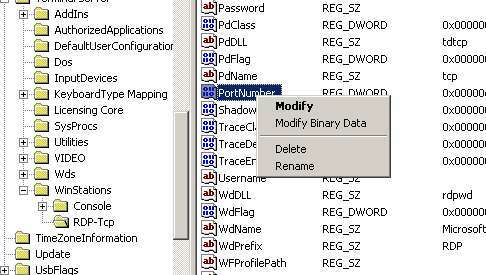 3 – Find the ‘PortNumber‘ subkey, clic modify, choose decimal and change it’s value and finally save. 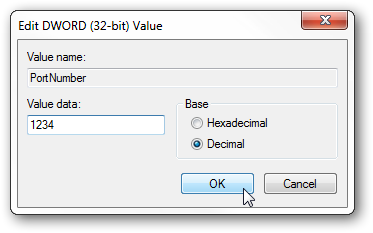 Note : The default value is “00000D3D” HEX for the decimal value “3389“. 4 – Make sure that the new configured port in open on the firewall. 5 – Restart the computer. That’s all, now you’ll need to configure your TS client to connect to the new port. Remember that it is important to change that port number to be protected against piracy and robots that try to get in by sending different passwords ‘with the root and administrator usernames’ on that ‘default’ port 3389. Clients exist for most versions of Microsoft Windows (including Windows Mobile), Linux, Unix, macOS, iOS, Android, and other operating systems. RDP servers are built into Windows operating systems; an RDP server for Unix and OS X also exists. By default, the server listens on TCP port 3389 and UDP port 3389. Microsoft currently refers to their official RDP client software as Remote Desktop Connection, formerly “Terminal Services Client”. The protocol is an extension of the ITU-T T.128 application sharing protocol. 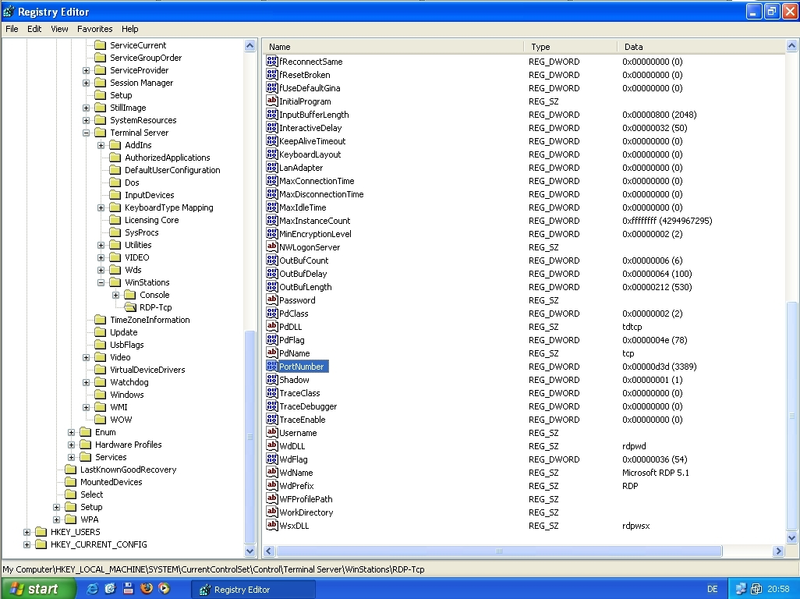 Every version of Microsoft Windows from Windows XP onwards includes an installed Remote Desktop Connection (RDC) (“Terminal Services”) client (mstsc.exe) whose version is determined by that of the operating system or by the last applied Windows Service Pack. The Terminal Services server is supported as an official feature on Windows NT 4.0 Terminal Server Edition, Windows 2000 Server, all editions of Windows XP except Windows XP Home Edition, Windows Server 2003, Windows Home Server, on Windows Fundamentals for Legacy PCs, in Windows Vista Ultimate, Enterprise and Business editions, Windows Server 2008 and Windows Server 2008 R2 and on Windows 7 Professional and above. Based on the ITU-T T.128 application sharing protocol (during draft also known as “T.share”) from the T.120 recommendation series, the first version of RDP (named version 4.0) was introduced by Microsoft with “Terminal Services”, as a part of their product Windows NT 4.0 Server, Terminal Server Edition. The Terminal Services Edition of NT 4.0 relied on Citrix‘s MultiWin technology, previously provided as a part of Citrix WinFrame atop Windows NT 3.51, in order to support multiple users and login sessions simultaneously. Microsoft required Citrix to license their MultiWin technology to Microsoft in order to be allowed to continue offering their own terminal-services product, then named Citrix MetaFrame, atop Windows NT 4.0. The Citrix-provided DLLs included in Windows NT 4.0 Terminal Services Edition still carry a Citrix copyright rather than a Microsoft copyright. Later versions of Windows integrated the necessary support directly. The T.128 application sharing technology was acquired by Microsoft from UK software developer Data Connection Limited. This version was introduced with Windows 2000 Server, added support for a number of features, including printing to local printers, and aimed to improve network bandwidth usage. This version was introduced with Windows XP Professional and included support for 24-bit color and sound. The client is available for Windows 2000, Windows 9x, Windows NT 4.0. 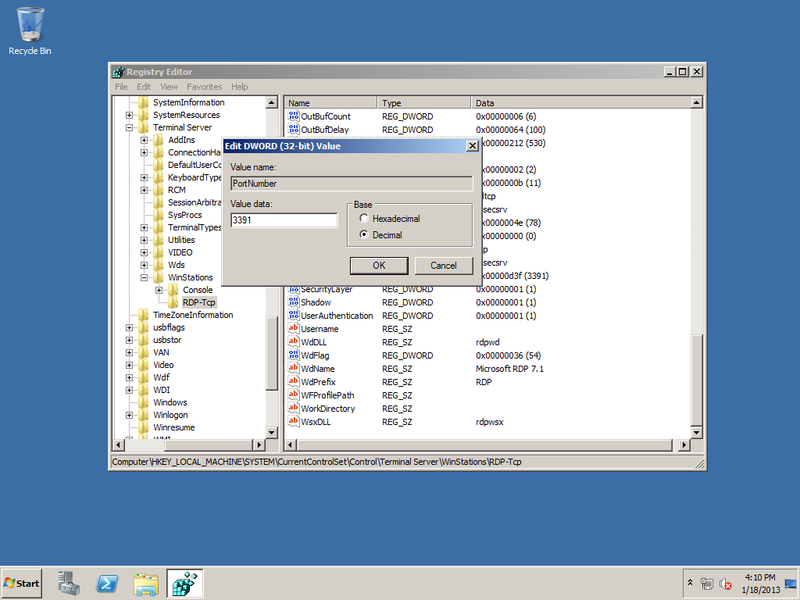 With this version, the name of the client was changed from Terminal Services Client to Remote Desktop Connection; the heritage remains to this day, however, as the underlying executable is still named mstsc.exe. This version was introduced with Windows Server 2003, included support for console mode connections, a session directory, and local resource mapping. It also introduces Transport Layer Security (TLS) 1.0 for server authentication, and to encrypt terminal server communications. This version is built into Windows XP Professional x64 Edition and Windows Server 2003 x64 & x86 Editions. This version was introduced with Windows Vista and incorporated support for Windows Presentation Foundation applications, Network Level Authentication, multi-monitor spanning and large desktop support, and TLS 1.0 connections. Version 6.0 client is available for Windows XP SP2, Windows Server 2003 SP1/SP2 (x86 and x64 editions) and Windows XP Professional x64 Edition. Microsoft Remote Desktop Connection Client for Macintosh OS X is also available with support for Intel and PowerPC Mac OS versions 10.4.9 and greater. Server 2012 can support RDC 6.0 or later. This version was released in February 2008 and is included with Windows Server 2008, as well as with Windows Vista Service Pack 1. The client is included with Windows XP SP3. 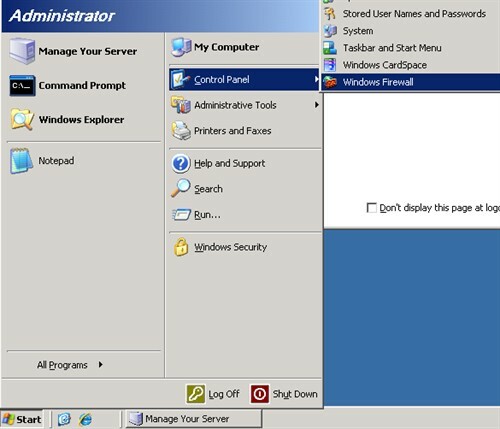 In addition to changes related to how a remote administrator connects to the “console”, this version has new functionality introduced in Windows Server 2008, such as connecting remotely to individual programs and a new client-side printer redirection system that makes the client’s print capabilities available to applications running on the server, without having to install print drivers on the server. This version was released to manufacturing in July 2009 and is included with Windows Server 2008 R2, as well as with Windows 7. With this release, also changed from Terminal Services to Remote Desktop Services. This version has new functions such as Windows Media Player redirection, bidirectional audio, multi-monitor support, Aero glass support, enhanced bitmap acceleration, Easy Print redirection, Language Bar docking. The RDP 7.0 client is available on Windows XP SP3 and Windows Vista SP1/SP2 through KB969084. RDP 6.1 client and RDP 7.0 client are not supported on Windows Server 2003 x86 and Windows Server 2003 / Windows XP Professional x64 editions. 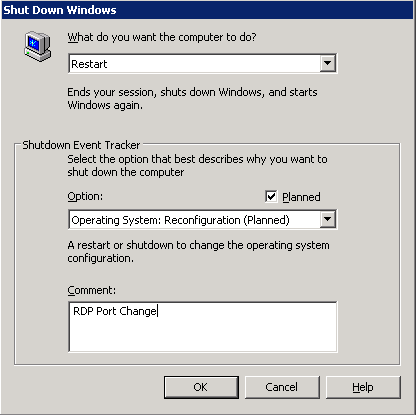 RDP 7.0 is also not supported on Windows Server 2008. RDP 7.0 clients also do not support connecting to terminal servers running Windows 2000 Server. Most RDP 7.0 features like Aero glass remote use, bidirectional audio, Windows Media Player redirection, multiple monitor support and Remote Desktop Easy Print are only available in Windows 7 Enterprise or Ultimate editions. SP1 and Server 2008 R2 SP1. It adds RemoteFX functionality. This version was released in Windows 8 and Windows Server 2012. This version has new functions such as Adaptive Graphics (progressive rendering and related techniques), automatic selection of TCP or UDP as transport protocol, multi touch support, DirectX 11 support for vGPU, USB redirection supported independently of vGPU support, etc. A “connection quality” button is displayed in the RDP client connection bar for RDP 8.0 connections; clicking on it provides further information about connection, including whether UDP is in use or not. The RDP 8.0 client and server components are also available as an add-on for Windows 7 SP1. The RDP 8.0 client is also available for Windows Server 2008 R2 SP1, but the server components are not. The add-on requires the DTLS protocol to be installed as prerequisite. After installing the updates, for the RDP 8.0 protocol to be enabled between Windows 7 machines, an extra configuration step is needed using the Group Policy editor. A new feature in RDP 8.0 is limited support for RDP session nesting; it only works for Windows 8 and Server 2012 though, Windows 7 and Server 2008 R2 (even with the RDP 8.0 update) do not support this feature. The “shadow” feature from RDP 7, which allowed an administrator to monitor (snoop) on a RDP connection has been removed in RDP 8. The Aero Glass remoting feature (applicable to Windows 7 machines connecting to each other) has also been removed in RDP 8. This version was released with Windows 8.1 and Windows Server 2012 R2. A RDP 8.1 client update exists for Windows 7 SP1 as well, but unlike the RDP 8.0 update for Windows 7, it does not add a RDP 8.1 server component to Windows 7. Furthermore, if RDP 8.0 server function is desired on Windows 7, the KB 2592687 (RDP 8.0 client and server components) update must be installed before installing the RDP 8.1 update. Support for session shadowing was added back in RDP version 8.1. This version also fixes some visual glitches with Microsoft Office 2013 when running as a RemoteApp. Version 8.1 of the RDP also enables a “restricted admin” mode. Logging into this mode only requires knowledge of the hashed password, rather than of its plaintext, therefore making a pass the hash attack possible. Microsoft has released an 82-page document explaining how to mitigate this type of attack. Version 10.0 of the RDP includes the following new features: AutoSize zoom (useful for HiDPI clients). In addition graphics compression improvements were included utilizing H.264/AVC. 32-bit color support. 8-, 15-, 16-, and 24-bit color are also supported. 128-bit encryption, using the RC4 encryption algorithm, as of Version 6. Audio Redirection allows users to process audio on a remote desktop and have the sound redirected to their local computer. File System Redirection allows users to use their local files on a remote desktop within the terminal session. Printer Redirection allows users to use their local printer within the terminal session as they would with a locally- or network-shared printer. Port Redirection allows applications running within the terminal session to access local serial and parallel ports directly. The remote computer and the local computer can share the clipboard. Seamless Windows: remote applications can run on a client machine that is served by a Remote Desktop connection. It is available since RDP 6. Remote Programs: application publishing with client-side file-type associations. Terminal Services Gateway: enables the ability to use a front-end IIS server to accept connections (over port 443) for back-end Terminal Services servers via an https connection, similar to how RPC over https allows Outlook clients to connect to a back-end Exchange 2003 server. Requires Windows Server 2008. Support for remoting the Aero Glass Theme (or Composed Desktop), including ClearType font-smoothing technology. Support for remoting Windows Presentation Foundation applications: compatible clients that have .NET Framework 3.0 support can display full Windows Presentation Foundation effects on a local machine. Rewrite of device redirection to be more general-purpose, allowing a greater variety of devices to be accessed. Fully configurable and scriptable via Windows Management Instrumentation. Improved bandwidth tuning for RDP clients. Support for Transport Layer Security (TLS) 1.0 on both server and client ends (can be negotiated if both parties agree, but not mandatory in a default configuration of any version of Windows). RemoteFX: RemoteFX provides virtualized GPU support and host-side encoding; it ships as part of Windows Server 2008 R2 SP1. Version 5.2 of the RDP in its default configuration is vulnerable to a man-in-the-middle attack. Administrators can enable transport layer encryption to mitigate this risk. RDP sessions are also susceptible to in-memory credential harvesting, which can be used to launch pass the hash attacks. In March 2012, Microsoft released an update for a critical security vulnerability in the RDP. The vulnerability allowed a Windows computer to be compromised by unauthenticated clients and computer worms. 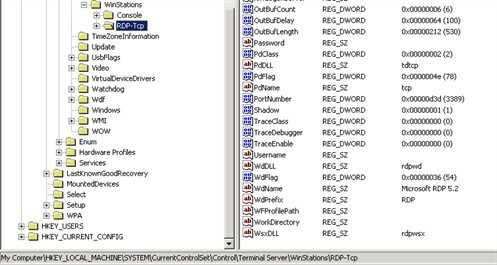 RDP client version 6.1 can be used to reveal the names and pictures of all users on the RDP Server (no matter which Windows version) in order to pick one, if no username is specified for the RDP connection. In March 2018 Microsoft released a patch for CVE-2018-0886, a remote code execution vulnerability in CredSSP, which is a Security Support Provider involved in the Microsoft Remote Desktop and Windows Remote Management, discovered by Preempt. There are numerous non-Microsoft implementations of RDP clients and servers that implement subsets of the Microsoft functionality. For instance, the open-source command-line client rdesktopis available for Linux/Unix and Microsoft Windows operating systems. There are many GUI clients, like tsclient and KRDC, that are built on top of rdesktop; CoRD is such a client for the Macintosh. In 2009, rdesktop was forked as FreeRDP, a new project aiming at modularizing the code, addressing various issues, and implementing new features. FreeRDP comes with its own command-line-client xfreerdp, which supports Seamless Windows in RDP6. There’s also a GTK-Application named Remmina. An open-source implementation of a Remote Desktop Protocol server on Unix is FreeRDP and xrdp. 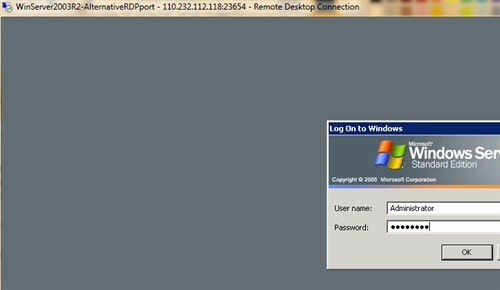 The Windows’ Remote Desktop Connection client can be used to connect to a server. Proprietary RDP client solutions such as rdpclient are available as a stand-alone application or embedded with client hardware. A new access paradigm, browser-based access, has enabled users to access Windows desktops and applications on any RDP hosts, such as Microsoft Remote Desktop (RDS) Session Hosts (Terminal Services) and virtual desktops, as well as remote physical PCs. There is also a so-called VRDP used in the VirtualBox virtual machine implementation by Oracle. This protocol is compatible with all RDP clients, such as that provided with Windows but, unlike the original RDP, can be configured to accept unencrypted and password unprotected connections, which may be useful in secure and trusted networks, such as home or office LANs. 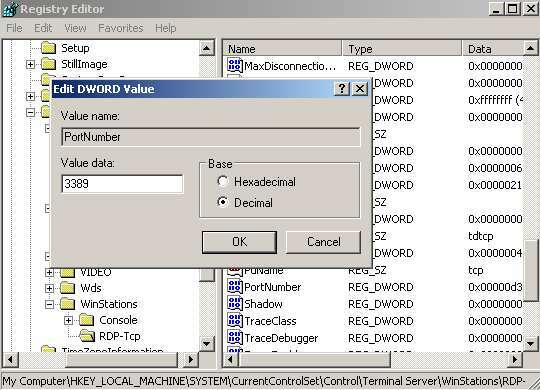 By default, Microsoft’s RDP server refuses connections to user accounts with empty passwords (but this can be changed with the Group Policy Editor). External and guest authorization options are provided by VRDP as well. It does not matter which operating system is installed as a guest because VRDP is implemented on the virtual machine (host) level, not in the guest system. The proprietary VirtualBox Extension Pack is required. Microsoft requires third-party implementations to license the relevant RDP patents. As of February 2014, the extent to which open-source clients meet this requirement remains unknown. Change the default RDP port 3389 via registry editor and PowerShell. Make sure any local and/or public firewalls are configured appropriately. Restart the system. RDP Security Layer – communication between the server and the client will use native RDP encryption. Negotiable – The most secure layer that is supported by the client will be used. SSL (TLS 1.0) – SSL will be used for server authentication and for encryption all data transferred between the server and the client. Client Compatible (the one enabled by default) – all data sent between the client and the server is protected by encryption based on the maximum key strength supported by the client. High – all data sent between the client and the server is protected by encryption based on the server’s maximum key strength. FIPS Compliant – all data sent between the client and the server is protected by using FIPS 140-1 validated encryption methods. FIPS is US Federal Information Processing Standard, not a protocol. Network Level Authentication (NLA) is also available for Remote Desktop Connection 6.0 and above.